Worldwide there are probably 70-100 shark attacks annually resulting in about 5-15 deaths. We say “probably” because not all shark attacks are reported; our information from Third World countries is especially poor, and in other areas efforts are sometimes made to keep attack quiet for fear of bad publicity. Historically the death rate was much higher than today, but the advent of readily available emergency services and improved medical treatment has greatly reduced the chances of mortality. Actual numbers of shark attacks certainly are going up each decade because of increasing numbers of bathers in the water, but there is no indication that there is any change in the per capita rate of attack. 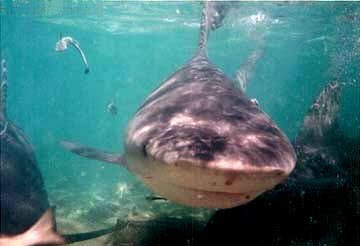 Most attacks occur in nearshore waters, typically inshore of a sandbar or between sandbars where sharks feed and can become trapped at low tide. Areas with steep drop-offs are also likely attack sites. Sharks congregate there because their natural food items also congregate in these areas. There are three major kinds of unprovoked shark attacks. By far the most common are “hit and run” attacks. These typically occur in the surf zone with swimmers and surfers the normal targets. The victim seldom sees its attacker and the shark does not return after inflicting a single bite or slash wound. In most instances, these probably are cases of mistaken identity that occur under conditions of poor water visibility and a harsh physical environment (breaking surf and strong wash/current conditions). A feeding shark in this habitat must make quick decisions and rapid movements to capture its traditional food items. 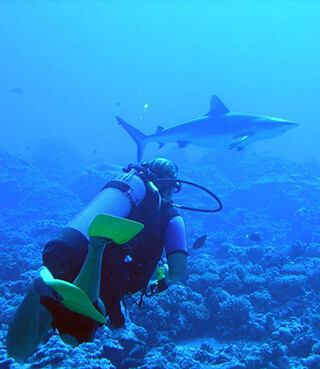 When these difficult physical conditions are considered in conjunction with provocative human appearance and activities associated with aquatic recreation (splashing, shiny jewelry, contrasting colored swimsuits, contrasting tanning, especially involving the soles of the feet), it is not surprising that sharks might occasionally misinterpret a human for its normal prey. We suspect that, upon biting, the shark quickly realizes that the human is a foreign object, or that it is too large, and immediately releases the victim and does not return. Some of these attacks could also be related to social behaviors unrelated to feeding, such as dominance behaviors seen in many land animals. Injuries to “hit and run” victims are usually confined to relatively small lacerations, often on the leg below the knee, and are seldom life-threatening. “Bump and bite” attacks and “sneak” attacks, while less common, result in greater injuries and most fatalities. These types of attack usually involve divers or swimmers in somewhat deeper waters, but occur in nearshore shallows in some areas of the world. “Bump and bite” attacks are characterized by the shark initially circling and often bumping the victim prior to the actual attack. “Sneak” attacks differ in having the strike occur without warning. In both cases, unlike the pattern for “hit and run” attacks, repeat attacks are not uncommon and multiple or sustained bites are the norm. Injuries incurred during this type of attack are usually quite severe, frequently resulting in death. We believe these types of attack are the result of feeding or antagonistic behaviors rather than being cases of mistaken identity. Most shark attacks involving sea disasters, e.g. plane and ship accidents, probably involve “bump and bite” and “sneak” attacks. Almost any large shark, roughly two meters or longer in total length, is a potential threat to humans. Three species, however, have been repetitively implicated as the primary attackers of man: the white shark (Carcharodon carcharias), tiger shark (Galeocerdo cuvier) and bull shark (Carcharhinus leucas). All are cosmopolitan in distribution, reach large sizes, and consume large prey items such as marine mammals, sea turtles, and fishes as normal elements of their diets. These species probably are responsible for a large portion of “bump and bite” and “sneak” attacks. Other species, including the great hammerhead (Sphyrna mokarran), shortfin mako (Isurus oxyrhynchus), oceanic whitetip (Carcharhinus longimanus), Galapagos (Carcharhinus galapagensis), and certain reef sharks (such as the Caribbean reef shark, (Carcharhinus perezi) have been implicated in these style of attacks. We know less about the offending parties in “hit and run” cases since the shark is seldom observed, but it is safe to assume that a large suite of species might be involved. Evidence from Florida, which has 20-30 of these type attacks per year, suggests that the blacktip (Carcharhinus limbatus) [possibly spinner (Carcharhinus brevipinna) and blacknose (Carcharhinus acronotus)] sharks are the major culprits in this region.